Caber House is a unique archltect designed pole house on 2.5 hectares just 3km from the small town of Mount Barker. 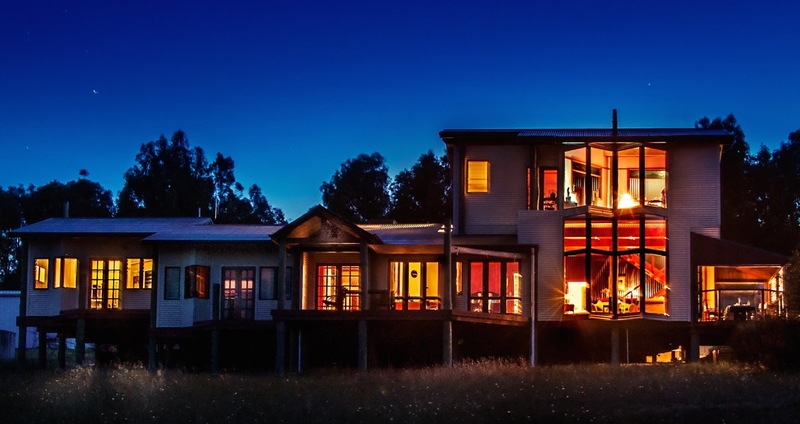 Ideally situated for exploring Albany, Denmark, local wineries and the Porongurup & Stirling Ranges. 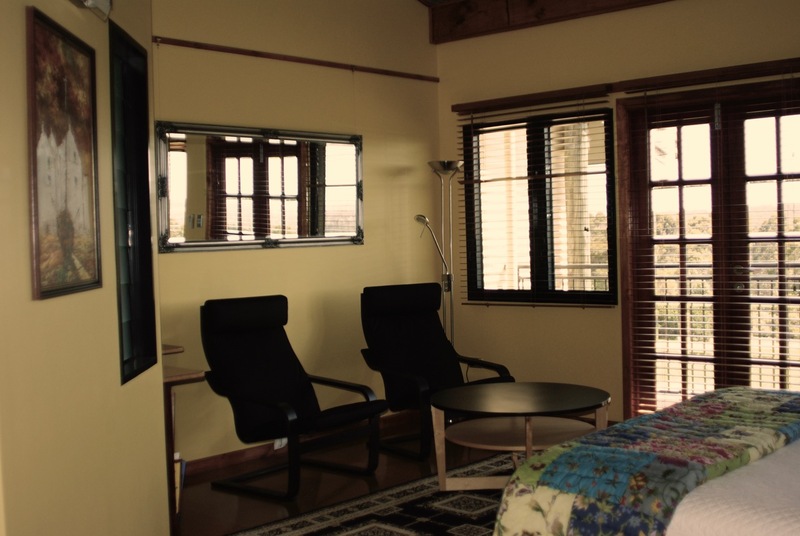 Both guest rooms are spacious & well appointed, each with ensuite bathroom, sitting area & deck. There is a kitchenette and dining/games area exclusively for guests, and an on-site cafe serving light meals and home made cakes to the public. Guests are welcome to utilise the cafe area and deck. 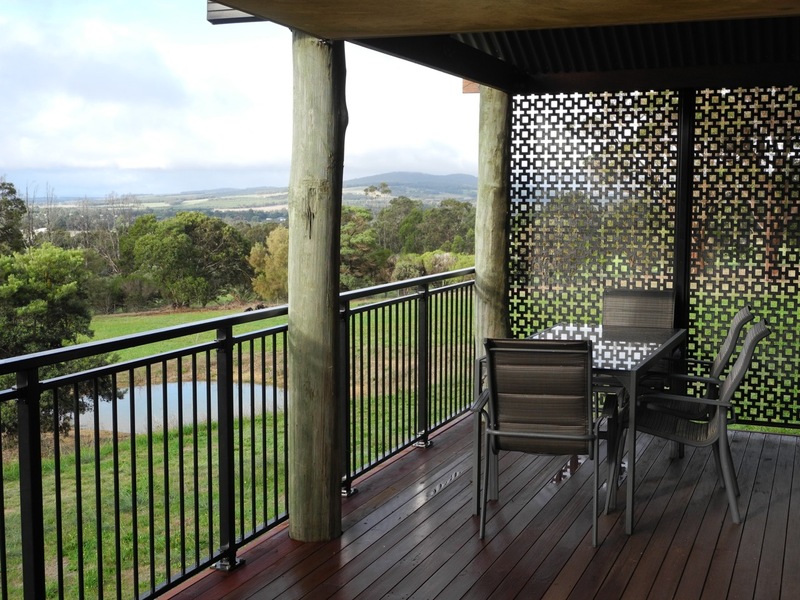 Enjoy panoramic views of the local countryside, township and Stirling Range. 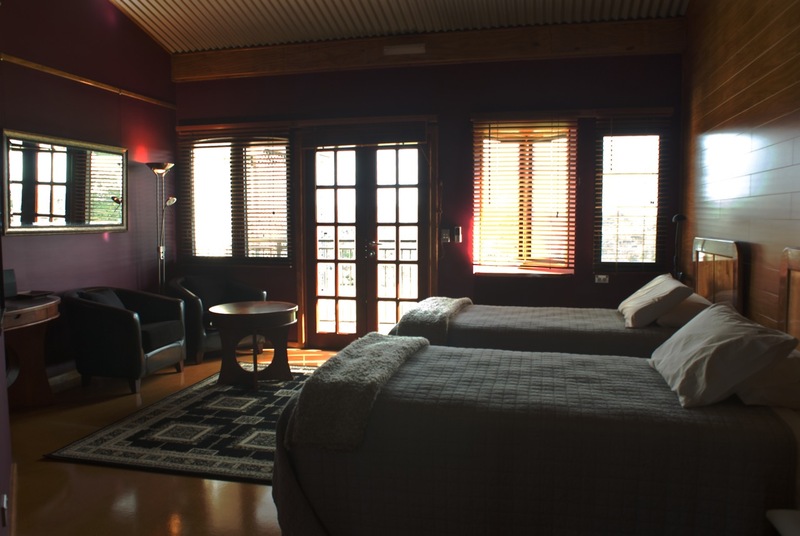 Each spacious room has it's own balcony from which guests can enjoy mountain views. Breakfast supplies are provided in the guest kitchenette. Rates are $180 for a single night; $160 for longer stays or see our Hot Deal. Enjoy scenic walks, premium coffee, delicious food or just enjoy being here. Many species of bird life abound due to the peace, tranquility and native plants. From Albany Highway turn at the Town Centre sign into Lowood Rd. Continue past the BP Service station and Bakery and left at the 1st street. Follow Caber House signs turning left at the stop sign into Mt Barker Rd . Continue on for 2.4km then left.